Thomas Pearson, MD, DPhil, executive director of the Emory Transplant Center, has been elected as incoming associate councillor of the Organ Procurement and Transplant Network and United Network for Organ Sharing (OPTN/UNOS) Region 3. Transplant and organ donation professionals within the states of Georgia, Florida, Alabama, Mississippi, Louisiana, Arkansas and Puerto Rico, which comprises Region 3, elected Pearson to this national post. His two-year term begins July 1, 2014. "Since 1991, Tom has been a valued friend and colleague at Emory and an esteemed transplant surgeon, bench and clinical researcher," says Christian Larsen, MD, DPhil, dean of Emory University School of Medicine, former executive director of the Emory Transplant Center and a current kidney transplant surgeon. "But he also is internationally respected as a transplant immunologist, educator and transplant advocate, establishing many protocols in place today. He is perfectly suited to this role at OPTN/UNOS Region 3." After Pearson's term as associate councillor ends in 2016, he will assume the role of councillor for an additional two-year term of service (2016-2018), representing Region 3 on the OPTN/UNOS board of directors. Each of the 11 OPTN/UNOS regions has an associate councillor who serves as the regional representative to its national Membership and Professional Standards Committee. This committee oversees transplant community membership, policy and regulatory compliance and makes recommendations to the board regarding policy violations. 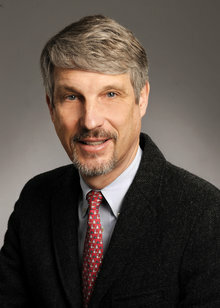 Pearson also serves as medical director of LifeLink of Georgia, is a member of the Board of Governors for the LifeLink Foundation and is a board member of the American Society of Transplantation.